The photo is not representative. 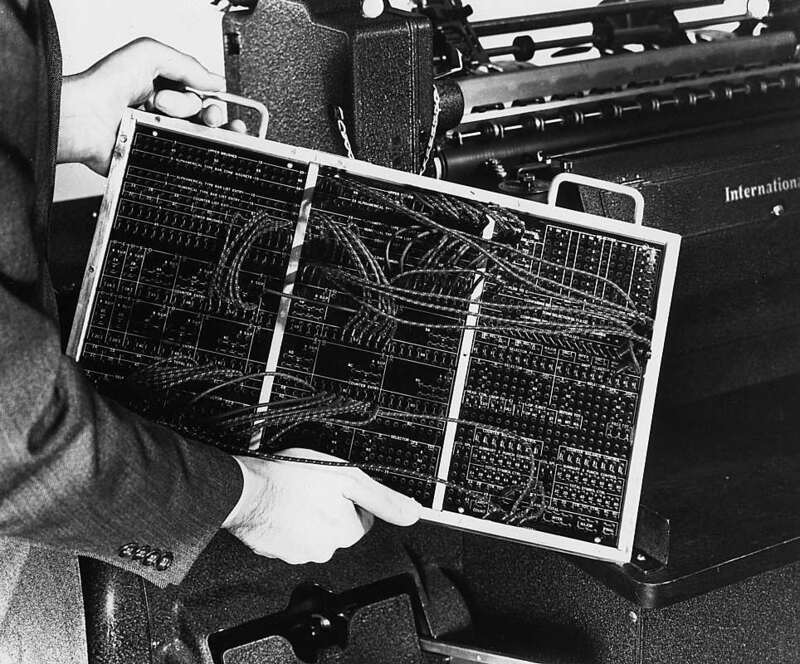 There may have been punched card installations where things once set up were never changed, but an advantage of IBM (over Powers/ Remington Rand) was that user's could revise/wire new/ control panels. 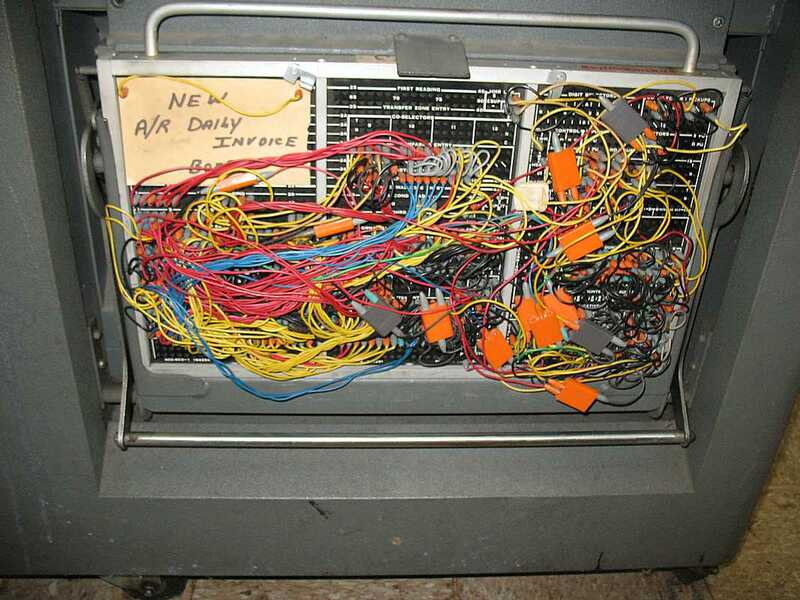 My experience was that installations had wiring tables to make control panel wiring as convenient as possible. These were about desk height, with a back that extended several feet up. You stood the control panel on the table leaning against the back. The "top" of the wiring table was divided into compartments of varying size to accommodate the different wire lengths. 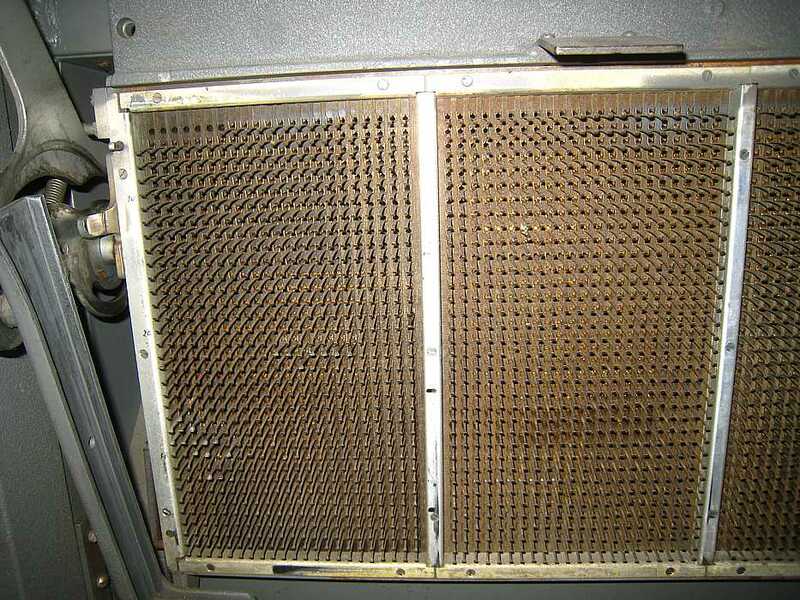 You were not hunched over with wires who knows where as shown in your photo; you were looking straight at the board and could reach into any compartment for needed wires/jumpers. Below are results of Google searches - verifying the term "wiring table". To find a photo, best bet would be to look at the suppliers catalogs. 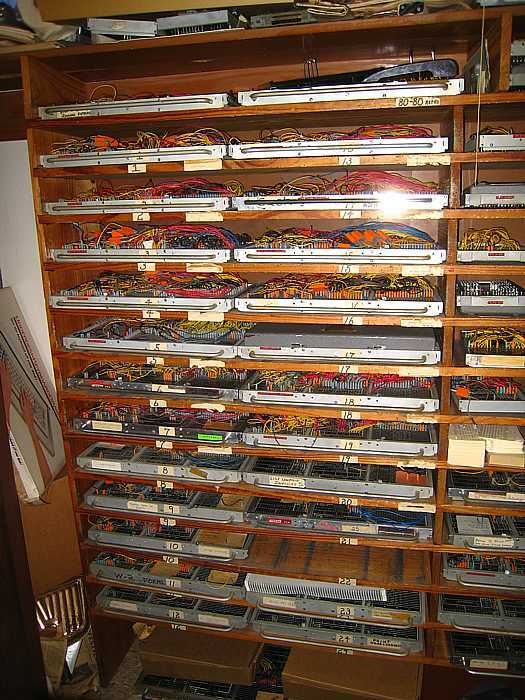 I've no recollection of just who manufactured wiring tables - they would have been "standard" equipment, in the same catalogs that had racks to hold control panels.